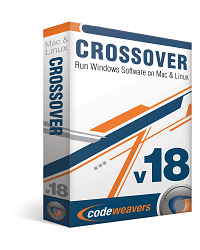 I am pleased to announce the release of CodeWeavers CrossOver 12.2.0 for both Mac OS X and Linux. We have made many substantial improvements to CrossOver since our last release. In this release, as in our last one, we have made Quicken more stable and usable. We have made improvements to some games running in full-screen mode, including Wizard 101. We have improved the stability of Office 2007, and fixed a bug with running applications that rely on the .Net 4.0 Framework. For Chinese-language speakers, we have fixed a bug which caused Traditional Chinese to be used even when a user's preferences were set to Simplified Chinese. On the Mac OS, we have continued to improve our new Mac Driver technology. This release includes support for drag and drop in the Mac Driver, as well as changes which should improve the visual experience and reduce window flicker. The Mac Driver is maturing rapidly and will be the default option in our next major release. All experienced CrossOver users are invited to turn it on and see how it works. With the recent release of Ubuntu 13.04, we experienced another bug which caused CrossOver to fail to register itself. This release fixes that, and is back-dated so any user who had support when 13.04 was released a few days ago will be able to download and install CrossOver 12.2.0. Lastly, for any interested games, the Dungeons and Dragons Neverwinter beta started today and it is running in CrossOver 12.2.0. As always, if you are an existing customer with an active support entitlement, you can download our latest version from <http://www.codeweavers.com> and use it. Mac customers who have automatic updates enabled and who are entitled to this update will receive it automatically. If CrossOver 12.2 asks you for registration credentials, use the same email and password which you used to purchase CrossOver from <http://www.codeweavers.com>. 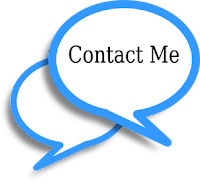 If you have any trouble, email info@codeweavers.com for help. A complete changelog for CrossOver 12.2 is included below. Thank you all for your support, and we hope you enjoy CrossOver 12.2! - Fixed graphics distortions in some Quicken windows. - Drag and drop support in the Mac Driver. - Gamma support in the Mac Driver. 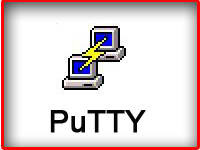 - Reduced window flicker when using the Mac Driver.